It's almost here! If you follow 6 petals on Instagram you probably saw a sneak peek of a few items. And there's LOTS more to be photographed. 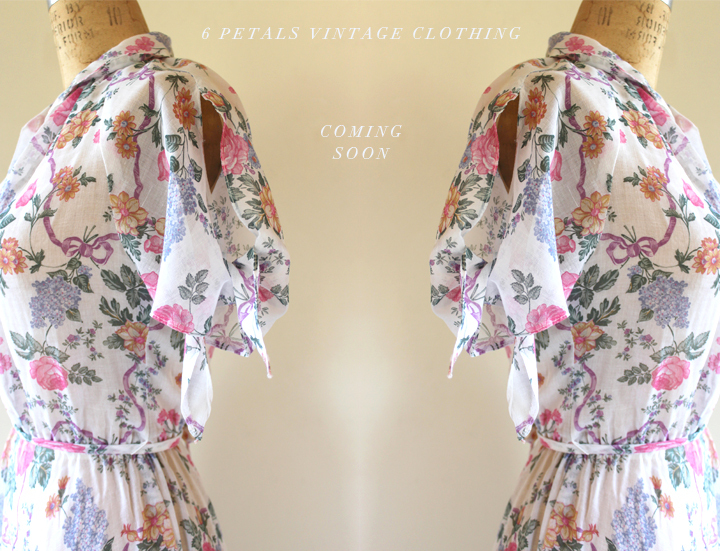 The first round of the 6 petals vintage clothing collection is right around the corner. what? so exciting! I can't wait to see! I love your blog :) newest follower! If you could, please visit mine and tell me what you think!